I hope everyone is having a good week. I’ve been thinking a lot about health and how some things we consume are better for us than others. I admit I am not a tea drinker. I did some research and found a few benefits to drinking tea. I thought I would share them with you for this week’s feature. Tea may reduce your risk of heart attack and stroke. Tea may help with weight loss. Tea may help protect your bones. Tea may keep your smile bright. Tea may boost the immune system. Tea may help battle cancer. Herbal tea may soothe the digestive system. Tea – unadulterated, that is – is calorie free. Go ahead and get your Tea on in your planners. 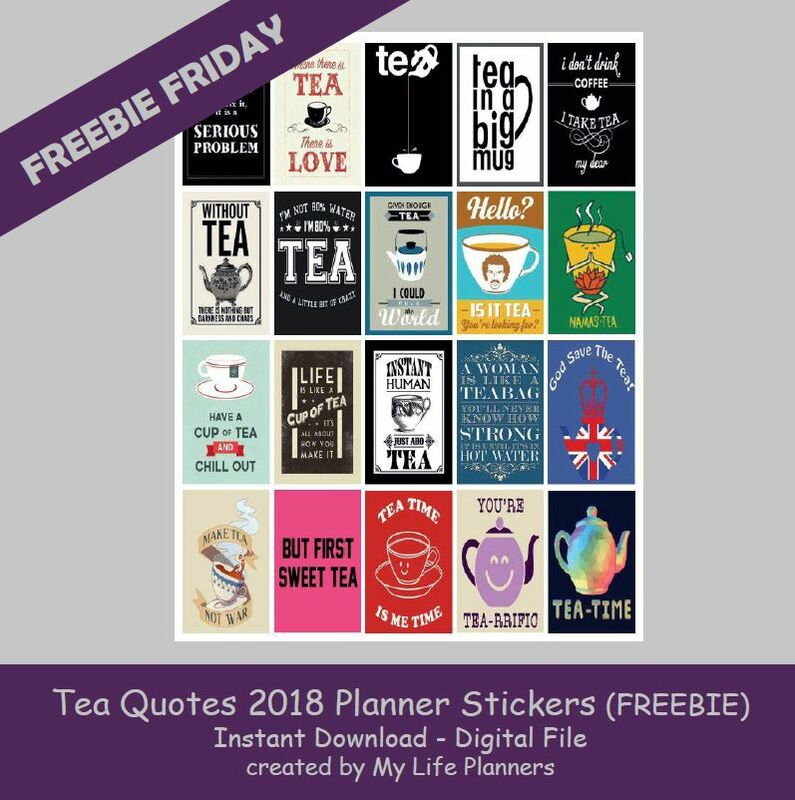 In case you missed Tea Quotes 2017 Planner Stickers you can revisit and download them from here.